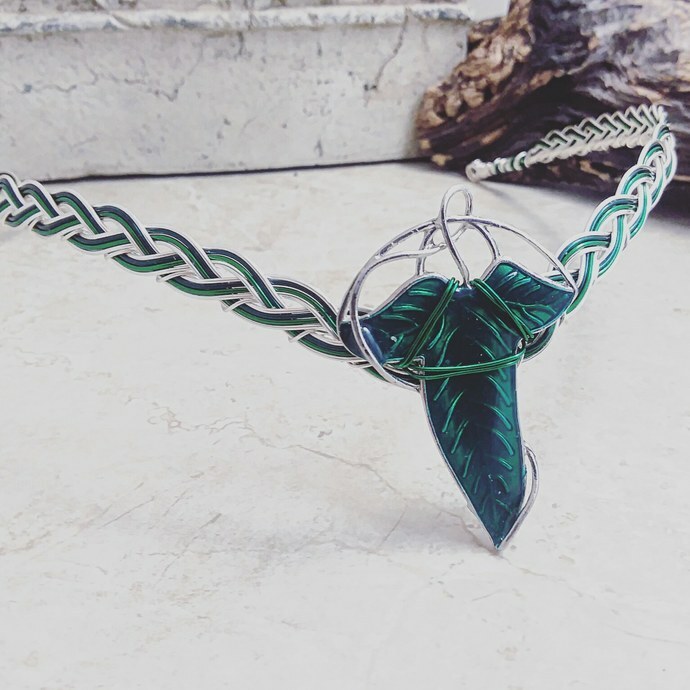 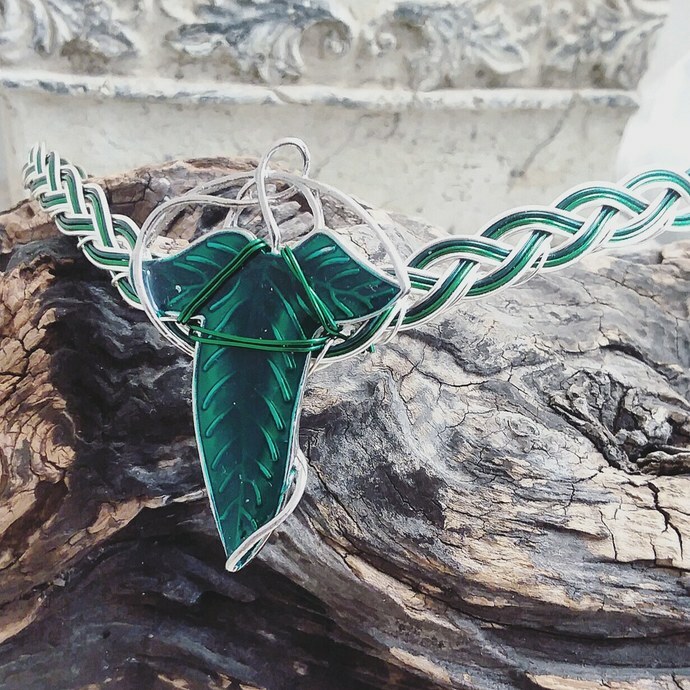 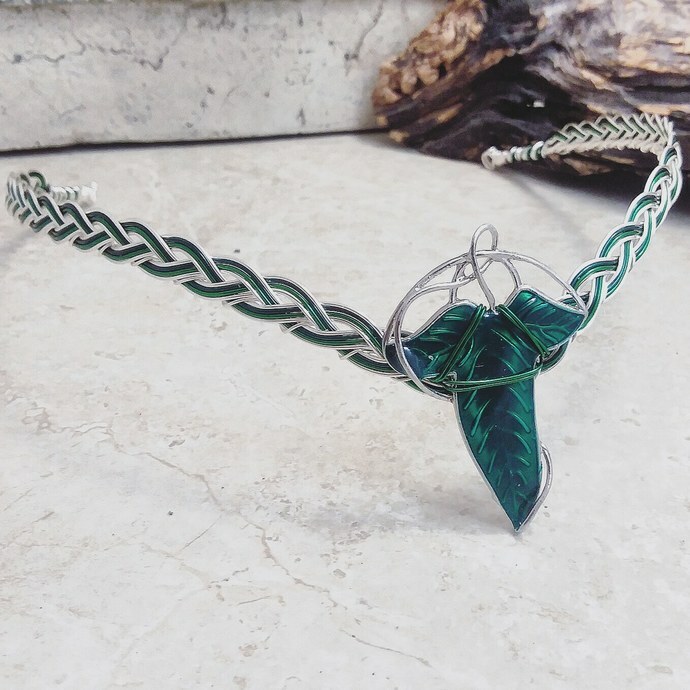 An elven circlet inspired by the Lord of the Rings films, featuring a dramatic Leaf of Lorien center focal on a Celtic Weave base. 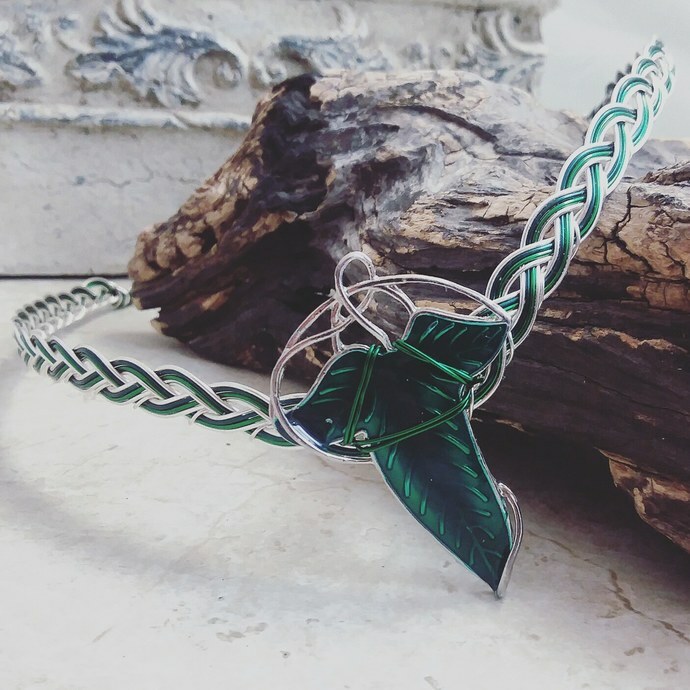 The back of this piece is open, designed to be tied together with long flowing ribbons, or just simply pinned here and there. 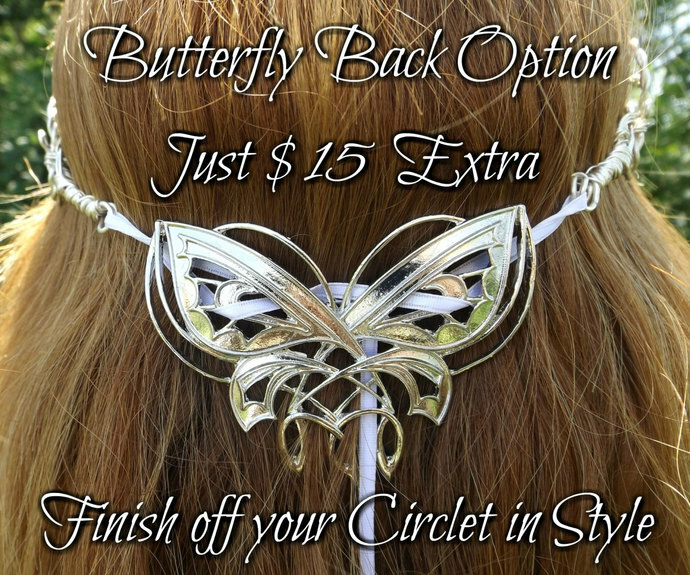 This allows it to work well with many different hairstyles and updos. 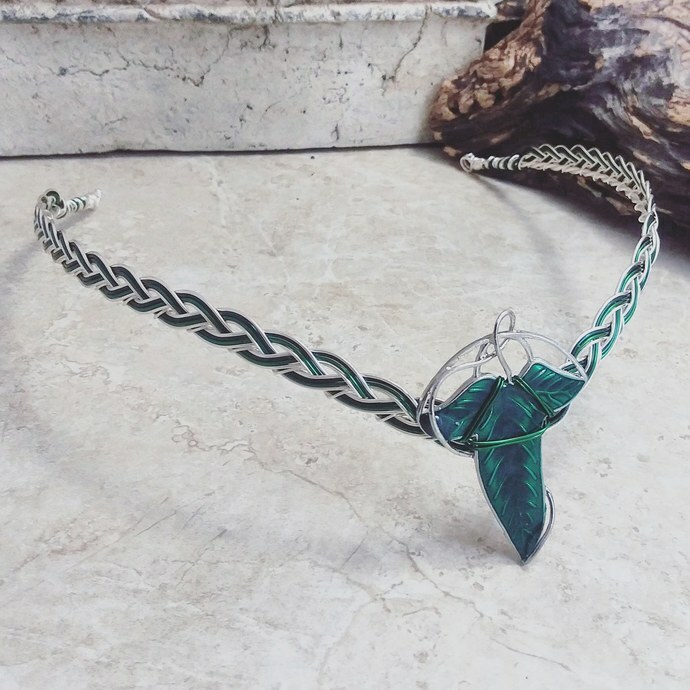 Our wire is nickel free and has a non-tarnish coat that keeps it shiny and makes it easy to wear even for allergy sufferers.